If you're looking to buy an affordable dual SIM smartphone in the US, you might be interested in the Blu R2 Plus, which is available as of this week on Amazon. The R2 Plus is an upgraded variant of the Blu R2 (released last year), and, like almost all Blu phones launched in the US, it's sold unlocked. Priced at $179.99, the Blu R2 Plus has an aluminum rear shell, and offers decent features to accompany its dual SIM capabilities. Sporting a 5.5-inch 1080p display, the phone is powered by an octa-core MediaTek MT6753 processor aided by 3 GB of RAM, so it should handle everyday tasks just fine. The new handset also comes with a fingerprint scanner, 32 GB of expandable storage space, and a 3000 mAh battery. 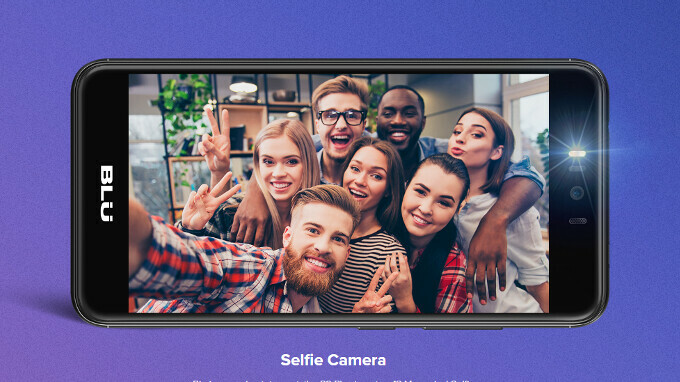 Moreover, the device has 13 MP cameras on the rear and front, both with LED flashes - thus, you can take selfies even in the dark. The Blu R2 Plus is fully compatible with GSM/LTE carriers like AT&T, T-Mobile, Cricket, MetroPCS, and Straight Talk. The smartphone currently runs Android 7 Nougat, and it's unclear if Blu will update it to Android 8 Oreo. If you're interested in buying the handset, you can find it at the source links below. For this price I would suggest to pick up a Moto G4 Plus 64gb 4gb ram instead. Or if you can squeeze out some more money, there are the g5 plus and g5s plus. There are many other options too, like Nokia 6, or Honor 7x (a real good selfie snapper, thou it can be quite laggy). I wouldn't bother with BLU again even though it is a little tempting sometimes. Their phones lack image processing so the camera is usually garbage despite specs and they use generic Chinese camera apps. At this point forget about them. Honor or Moto all day.